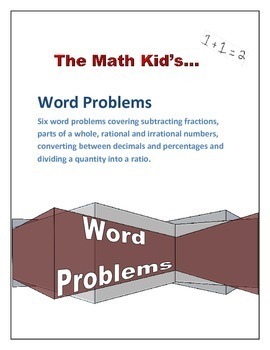 Six word problems covering subtracting fractions, parts of a whole, rational and irrational numbers, converting between decimals and percentages and dividing a quantity into a ratio. 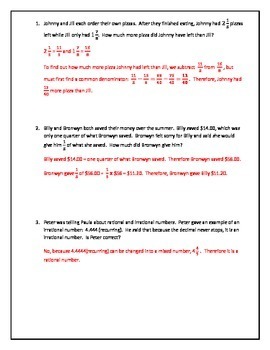 I used these as review questions at the end of the unit where students worked in groups to discuss different strategies on how to solve the problems. 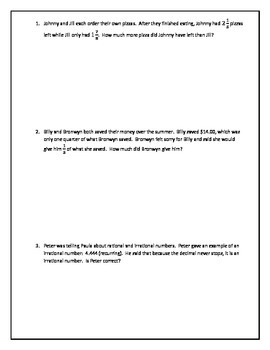 From my experience, these word problems will keep your students busy from anywhere between 30-60 minutes depending on their ability level.